Mike and I honeymooned in Jamaica and it was amazing. And, YES, the jerk chicken! But finding something even remotely close in the states was a bust. While there is food truck in our area that serves amazing Caribbean cuisine it is pricey for all 9 of us to eat. Not to mention having to go 30 minutes to go get it. (Because it takes 20-30 minutes to get ANYWHERE when you live out here!) So here is my favorite go-to Jamaican jerk recipe complete with rice and “peas”. I say “peas” and not just peas because traditionally that is what the dish is called but the “peas” are what we Americans call kidney beans. I prefer black beans so that is what I use, but I am sure you could use whatever bean you’d like in this dish. Mix together spices and sprinkle evenly over all sides of the chicken pieces. Grill as normal until done. This looks gooks good. I will try it with my family. Can’t wait to try this! 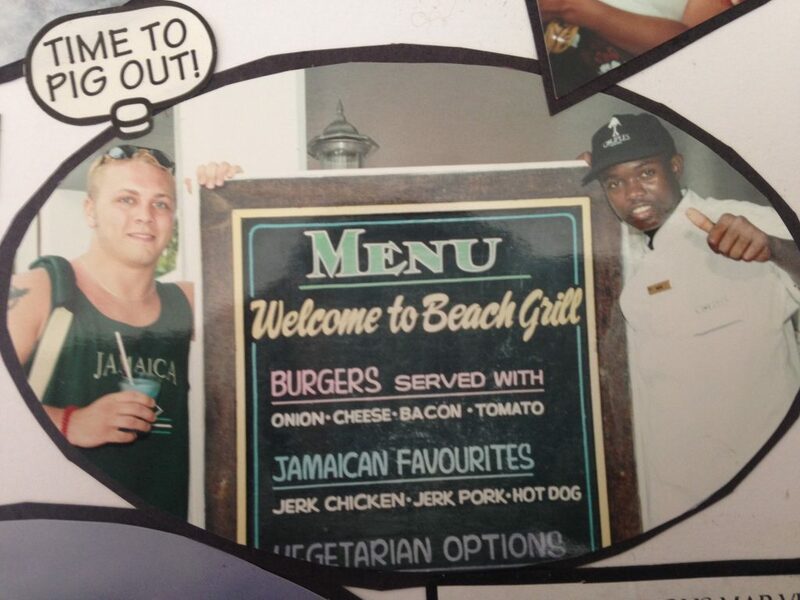 My husband and I honeymooned in Jamaica too! (2000). We were at a Sandals, Montego Bay? Dunn’s River Falls? I should know this. Thanks for the recipe!